One of the eminent engineers of our land, Sir M. Visvesvaraya, was born in Muddenahalli in the Chikkaballapur Taluk of Kolar District (Mysore State), on the 15th of September 1861. His father Srinivasa Sastry was himself a scholar in Sanskrit. 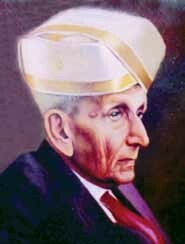 Visvesvaraya completed his early education in Chikkaballapur; then he came to Bangalore for higher education. He joined the Central College. He joined the Science College in Poona to study Engineering. In 1883 he ranked first in the L.C.E. and the F.C.E. Examinations. Soon he was appointed as an Assistant Engineer in Nasik, where he implemented a new system of irrigation called “Block System”, for supplying water from the river Sindhu to a town called Sukkur. He was soon promoted and was the Chief Engineer of Mysore for 3 years before being chosen by the Maharaja as his Dewan in 1912. In 1918 Sri M Visvesvaraya retired voluntarily and went on to fulfill his dream by starting an Automobiles Factory and an Aircraft Factory in Mysore State. The Hindustan Aircraft Factory (now called the Hindustan Aeronautics) in Bangalore, and the Premier Automobile Factory in Bombay owe much to his efforts. Visvesvaraya later published two books, ‘Reconstructing India’ and ‘Planned Economy for India’. Even at the age of 98 Visvesvaraya was writing books on planning. L. S. Sheshagiri Rao wrote: “One of the makers of modern India. ‘MV’ was a genius. Perfectly honest and devoted to his work, he set new standards of efficiency”. Service of the country was this great man’s ‘tapas’. The Government of India brought out a stamp in his honor. This great son of our land passed away on 14th of April 1962. 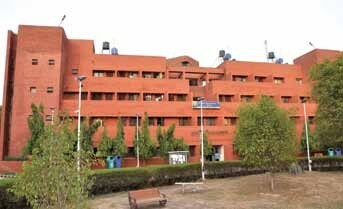 Sir M. Visvesvaraya Hostel was inaugurated in the year 1998. This hostel has capacity to accommodate 178 boy students.